Women are being called to live louder, bolder lives and to commit more than ever to positively influencing the world. By unleashing women’s limitless potential and power, we create a more gender equal world where women are drivers for our collective future. Our story began ten years ago when we, Victoria Foster and Patricia Becker—in different countries, industries, and stages of our careers—each found ourselves at a crossroads. By many typical measurements, we were successful. Patricia worked throughout Europe’s corporate world for 20+ years, with prominent companies including Coca-Cola, Transavia Airline, and ING Bank, while Victoria climbed the ranks in investment banking with Credit Suisse working in New York and Australia for over a decade. But we both felt a calling to use our experience, expertise, and wisdom towards something bigger. Listening to our female peers around the world we heard an incredible need for trusted advisors who were able to support these women in uncovering their full potential, designing a new future, and making a more meaningful contributions to the world. Our journeys converged when we met each other in 2013 and immediately connected over our shared vision to commit our lives to paying forward what we missed in our professional lives and elevate those ready to go for their dream. A FutureWomenX partnership was formed on the seeds of this clear shared vision. Since, FutureWomenX has grown from just a few programs to a global platform with hundreds of women around the world joining us in our mission. What drives all of us is finding the means to contribute to a more equitable and inclusive future. We aim not just to inspire but to incite real action and change. Collecting thousand of stories of female business leaders and entrepreneurs in the last 10 years (and counting), we have witnessed time and time again the tremendous potential women each have within themselves to be true leaders. And what the impact is when we bring them together and create the COLLECTIVE WISDOM that opens unforseen perspectives on the most relevant issues to them. We know that this incredible untapped source of clarity and power is key to a better collective future. We have an unwavering commitment to unleash this potential and support and empower courageous women throughout the world to be future-makers. Our methodologies are based on years of experience and research in working with, coaching, and guiding women around the globe. We believe in the power of life-changing personal experiences grounded in radical awareness, trust and connection, courage, collective wisdom, action, purpose, and most importantly, fun. When women come together as peers, everything is possible. We continue to evolve, innovate, and grow alongside our tribe. This is the essence of FWX that we dedicate of our work and lives to. FutureWomenX is led by a core team of diverse leaders around the world. Each brings her unique experience, expertise, and network to the table, so we can connect the dots to affect real change. This core team also collaborates with an international team of associates and organizational partners. “It’s not up to you to decide you're not a role model. The other women decide that for you. Patricia embodies and inspires the power of Sisterhood. As an all-around, seasoned business leader specializing in multilevel change programs for multinationals like ING Bank, Coca Cola, Transavia Airline, and Kelly Services, and as an entrepreneur in SME environments, she intimately understands the challenges and ambitions of female leaders. Patricia leads with her incurable curiosity for what’s next. As a trusted advisor, business and executive coach, and dialogue-maker for women globally over the last deacade, Patricia dares to create spaces to have bold and profound conversations on the topics that matter most and leverage collective wisdom to challenge leaders to continually renew themselves & be future-makers. Victoria is an action-oriented catalyst for transformation. Her career has taken her across five continents and more than forty countries from the boardrooms of NYC as a Credit Suisse investment banker to the slums of Bangkok working with disruptive innovators, and now in leadership and change-making among a tribe of FutureWomen. Victoria leads with her steadfast conviction in the power of people, her gift for taking leaders on a voyage of discovery to ask the BIG questions and envision powerful life-giving futures. 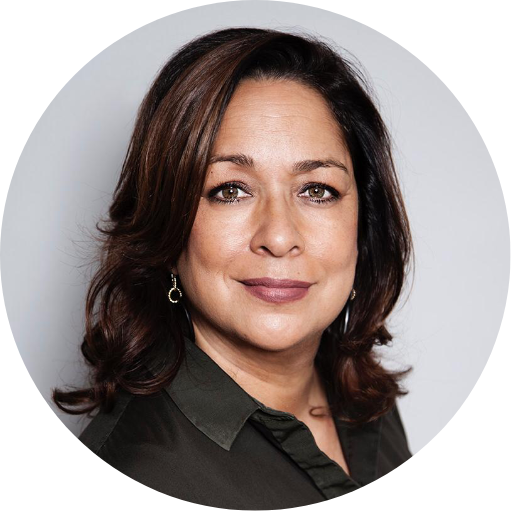 She has an unparalleled ability to unveil new perspectives, connect the dots, and activate women and organizations to be change-agents for impact. Kat is a “super connector” with a passion for both connecting people and creating meaningful experiences. She is masterful at unveiling what people are truly capable of, with a focus on applying at the intersection of change, innovation, and design. As an early champion for culture and community, working with the likes of artist and musician, David Byrne, for 7 years and then co-founder of an award winning creative agency, Exopolis, Kat thrives on building deep personal partnerships with individuals and companies that are passionate about harnessing new ideas and are looking to pollinate and expand their networks and grow their business in meaningful ways. Carey brings people to work together to achieve more at both the personal and systemic level by awakening people to the potential, possibility and need for change. Her warm and deeply personal, yet concrete results-focused ecosystem-driven approach is “business as unusual”. She is a master facilitator and partnership builder of multi-stakeholder initiatives, and over the last 14 years has worked with top-level professionals across finance, industry, policy makers and civil society in over 45 countries, particularly around gender and sustainable finance in emerging markets. She is also deeply committed to working with individuals to awaken and act on their own burning platform for change. Anouk is an energetic entrepreneur focused on change management and communications strategy with both international high-tech multinationals and start-up organizations. She's been called upon many times as troubleshooter to lead transformation, culture change and employee experience programs. Anouk triggers and motivates people and teams to build impactful and aligned cultures that bring out the best of people. Anouk founded Amsterdam Capital Week, the largest startup community event in the Netherlands, and was named one of the 50 Future-makers in the Netherlands in 2018. Thanks for joining the FWX tribe. We’ll send you only the best updates and insights in the future.